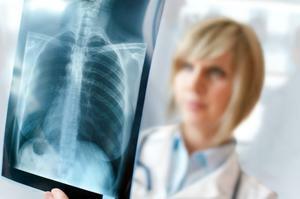 Are you wondering what type of salary you can expect if you decide to become a radiologist? Radiologists tend to earn high salaries, often breaking six figures. The exact salary can vary quite a bit based on your location, the cost of living and the need for radiologists in the area where you work. Even at its lowest, radiologists earn salaries well over the median household income in America. Best Sample Resume has the average radiologist salary listed at $151,000 and offers a breakdown of anticipated salary by state. A radiologist in Puerto Rico may make around $90,000 while one in Mississippi could make $194,000, so the salary varies greatly by where you live and work. PayScale.com lists a salary range of $45,840 to $198,820 as of 2011. Keep in mind that this salary is for those who have graduated from medical school, are licensed and have years of training in the radiology medicine. A radiologist is a medically licensed doctor, not a radiologist technician. You may be wondering how much education and training is involved in order to achieve a radiologist's salary. You'll need a medical degree from an accredited school. You'll also need to be licensed and you'll generally go through a three to six year residency in a hospital so that you can focus on radiology. The radiologist salary is, on average, fairly high. Remember that the salary may be offset by loan payments from the cost of medical school at first. It will also vary by state, so be sure to check for averages by state if you're planning to move.